Jessi from Sweet Pie Bakery is here with one of her signature gorgeous creations. For all the little girls who want to be butterflies this is the skirt for them. This tutorial is so cute! 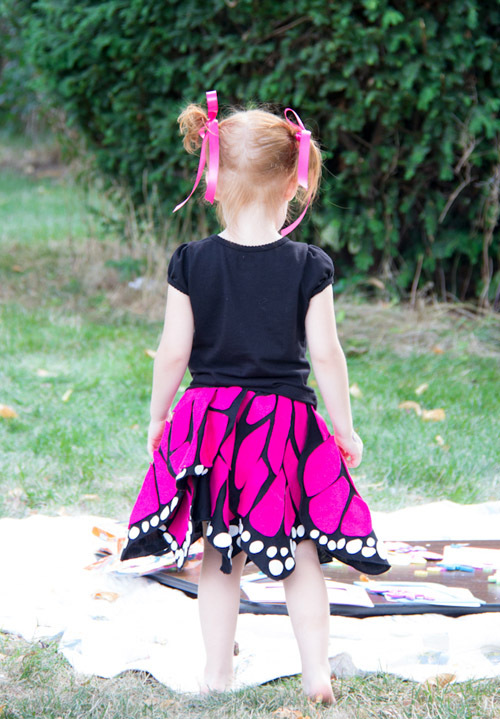 Thanks for showing us how to make this fabulous twirly butterfly skirt Jessi! Don't forget to check out the whole Costume Series! Tons of tutorials! Hello! I'm Jessi from Sweetie Pie Bakery. I'm sharing with you this twirly butterfly skirt today, but make sure to stop by my blog tomorrow to see the rest of Aeris's fourth birthday festivities! I love Halloween, but more importantly, I love easy comfy costumes. I think elaborate ones have a time and place in competitions and such, but for running around trick or treating, warmth and comfort is the way to go! Plus, this costume can be worn year round! For as long as I can remember, Aeris has loved butterflies. 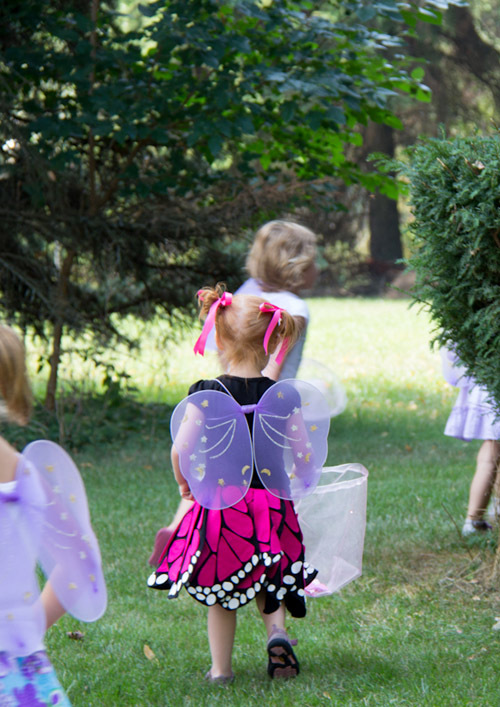 So when it came time to plan her birthday, the theme was simple, a butterfly garden party. I originally planned on making her an entire dress inspired by the monarch butterfly, but with the August temperatures soaring, and my time dwindling, I went with a skirt only. Plus, a skirt is much more practical for a little girl to romp around the back yard in. I think this skirt is also great for Halloween. I love costumes like this for school especially. 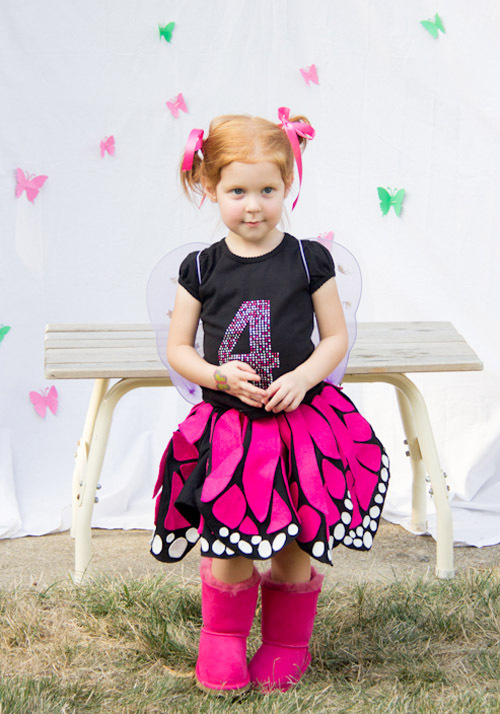 With a black shirt and leggings, add some wings, you have a costume that your little one can put on themselves and be warm in for outdoor festivities. 1. 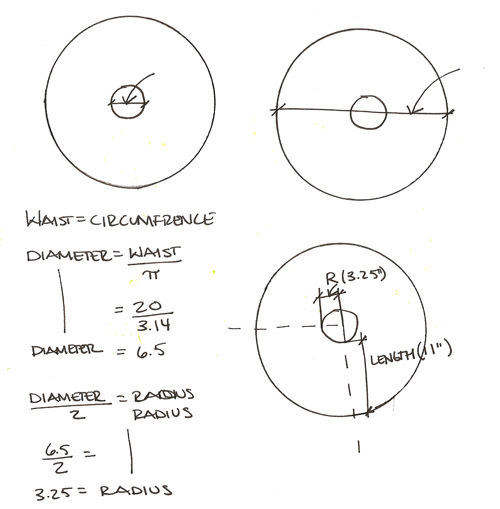 Create a circle skirt-I'm going to direct you to Dana, because her tutorial is awesome and will help you out if you've never made a circle skirt before! Do NOT assemble the skirt yet. Go ahead and put the bottom hem in, but don't attach the elastic at this point. 2. To create the petals, I drafted each one individually on newsprint. 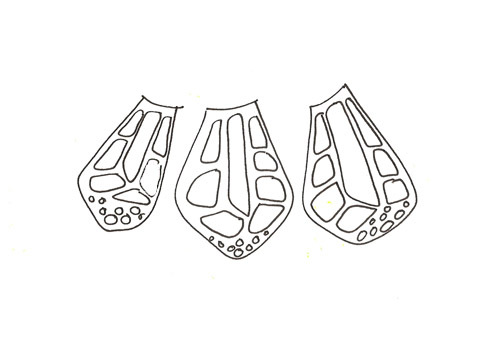 Make the petal shape a few inches longer than your skirt length. I drew each one free hand to create an individual look for each petal. 4. Cut the wing details out of the felt. Pin the felt to the finished skirt petal and sew around the perimeter to attach each one. Since I was in a bind for time, I honestly hot glued each section down, which you can do, just note that it won't really be able to be washed. 5. Repeat steps 2-4 to create enough petals to go around the entire skirt. 6. Pin the petals to the top of the waist on the skirt. Overlap the petals and layer shorter ones and longer ones. 7. Baste the top edge of the skirt to secure the petals. 8. Now you can go ahead and attach the elastic to the top of the skirt to complete it! This is SO BEAUTIFUL! I can’t believe it. I can’t wait to make one for my baby girl, and myself! this is absolutely GORGEOUS!!! I love it! This is darling! Love love. 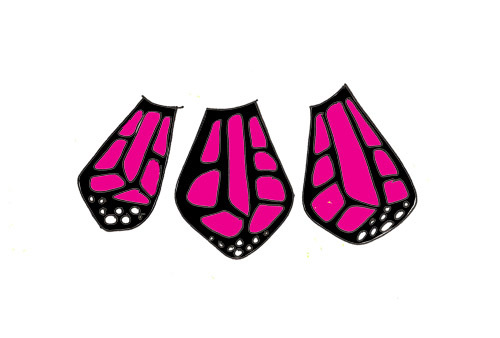 Just love this..my little one wants to be a butterfly for Halloween and we have a parade here welcoming the monarchs to their fall/winter home and this is PERFECT! This is SO cute!!! If I have a daughter one day, I’ll be sure to make one! So cute! So pretty, my girls would love to have one of these! So adorable and cute..thanks for the tutorial..girls love butterfly skirts..Every single thought and idea is direct to the point.Perfectly laid out.Good to learn about it!